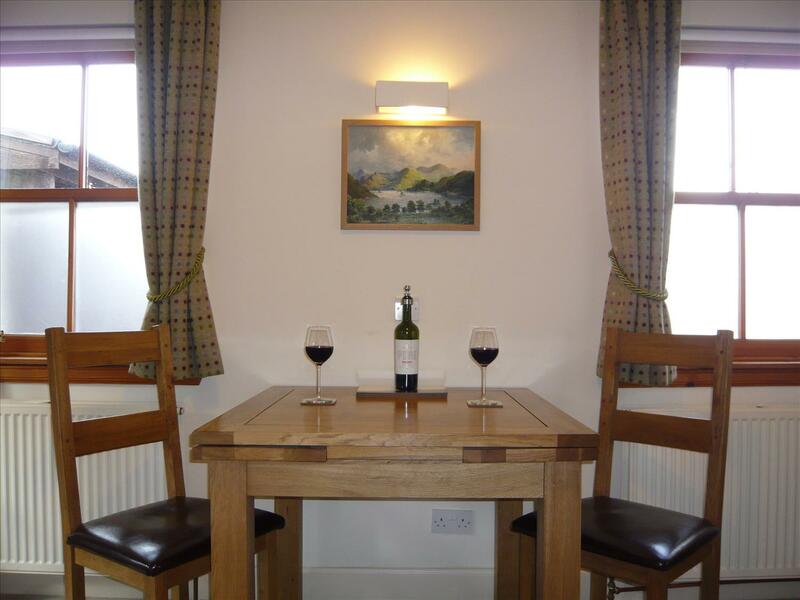 The Bothy is a very comfortable and well appointed studio, with high ceiling and lots of natural light. The floor area is approximately 22.5 metres squared. 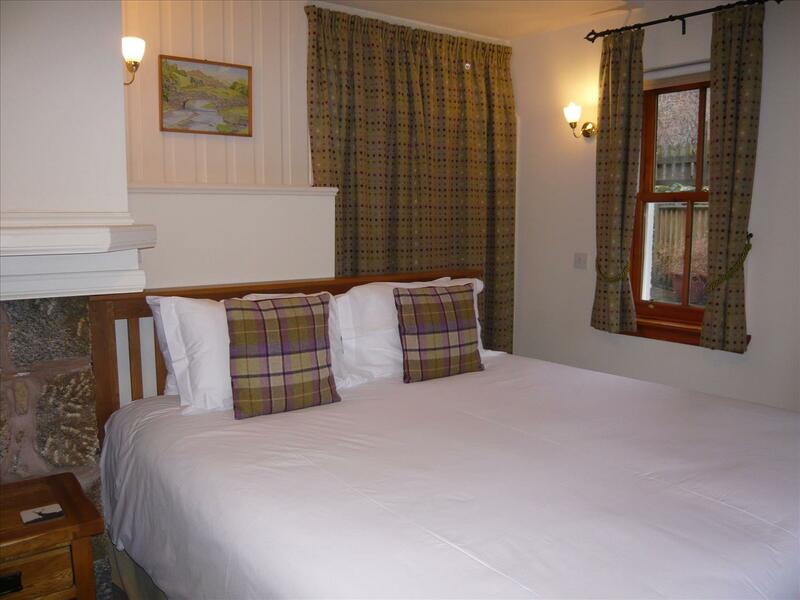 It adjoins the B&B on one side, but is a completely independent accommodation, with its own entrance and separate parking for one car. 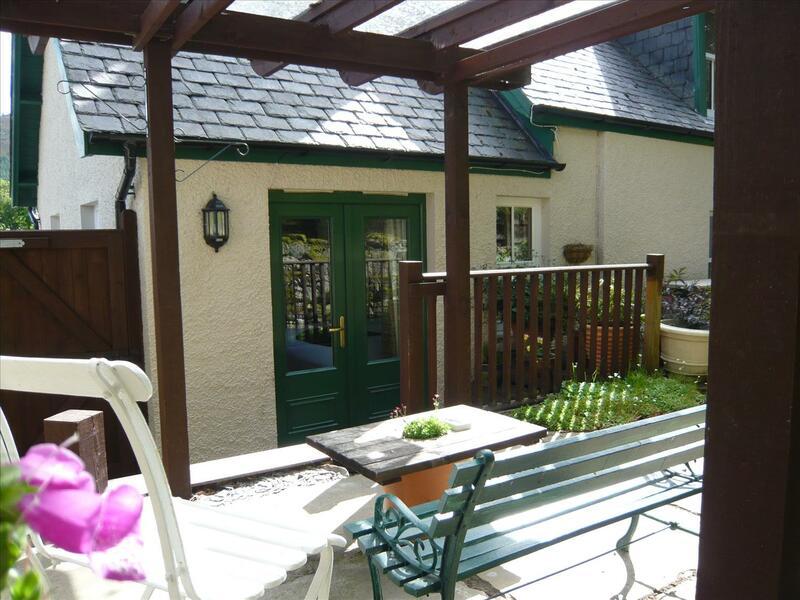 The Bothy has its own sheltered “sitooterie”, a private paved seating area with glass canopy. 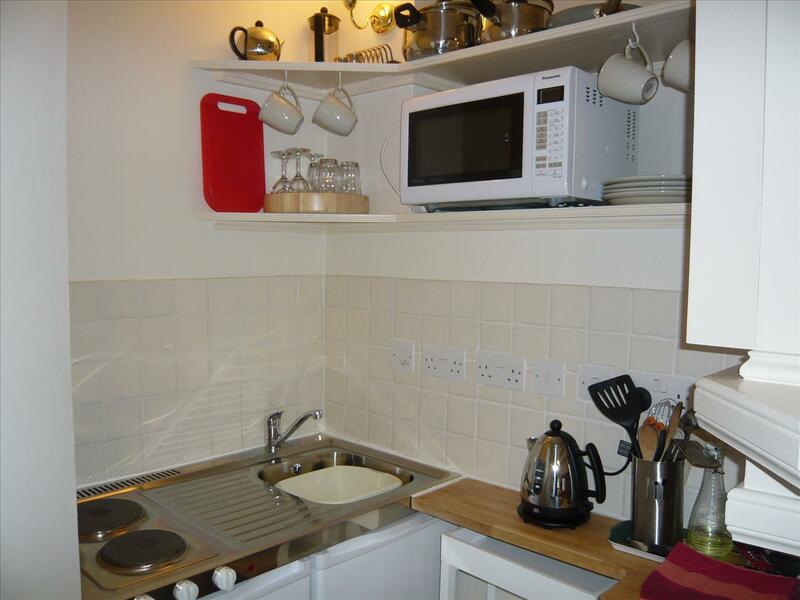 The Bothy has a well equipped mini-kitchen with built in hot plates, combination-microwave oven with grill and fridge with freezer compartment. 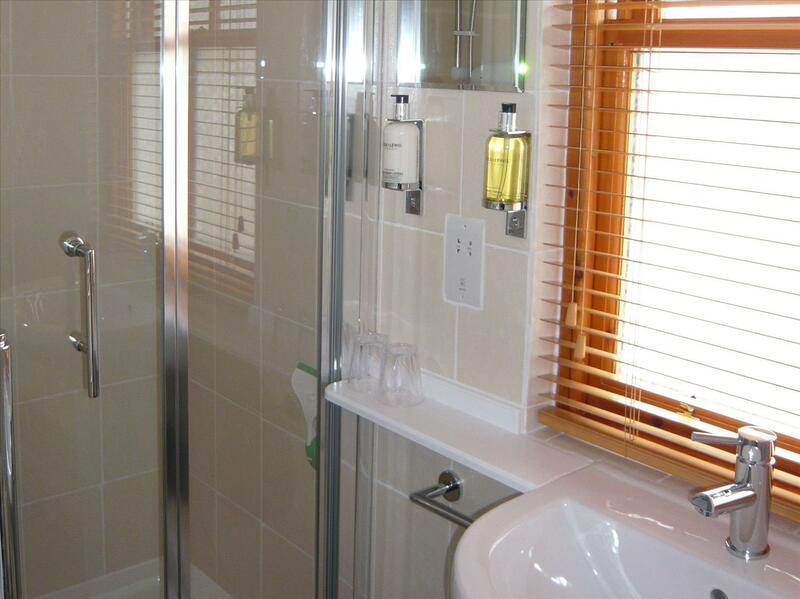 There is a modern shower room, with quality toiletries provided. 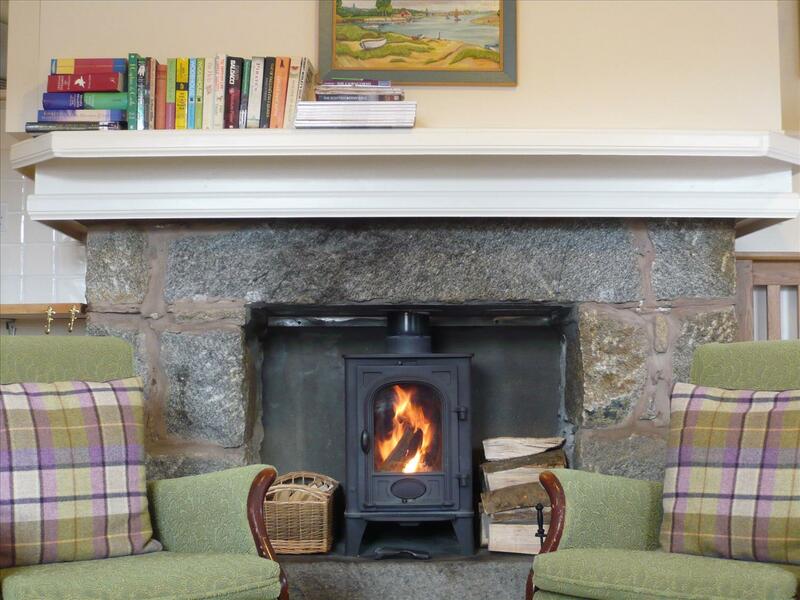 The main room has sleeping/dining/living areas, a wood burning stove in a lovely big stone fireplace and a Freesat television. There is a UK super king size zip-link bed (set up as a double only - twin not possible as the frame is one unit). Included in the price of the accommodation is the use of towels and bed linen, and reasonable use of electricity, full central heating throughout and initial supply of logs for the wood burning stove. Guests are welcome to enjoy shared use of the secure garage storage for bicycles, golf clubs and skis, and a drying room for your wet outdoor gear. Free WiFi is available. A laundry service is available for a charge per load. There is a NO SMOKING policy in all interior areas; smoking is permitted in the garden. The maximum number of guests is two. Sorry, pets are not permitted and our accommodation is not suitable for infants.